The Micro-11 mission will test the performance of sperm in microgravity aboard the International Space Station for the first time. While human sperm results are most important, bull sperm are more uniform and thus easier to use as a baseline for test results. They will serve as a manner of control, helping researchers to understand whether odd behaviors are a result of the environment or an inconsistency within the human samples. The astronaut crew will thaw the samples and add chemical mixtures that trigger activation of sperm movement and preparation for fusing with an egg. Researchers will use video to assess how well the space sperm move. 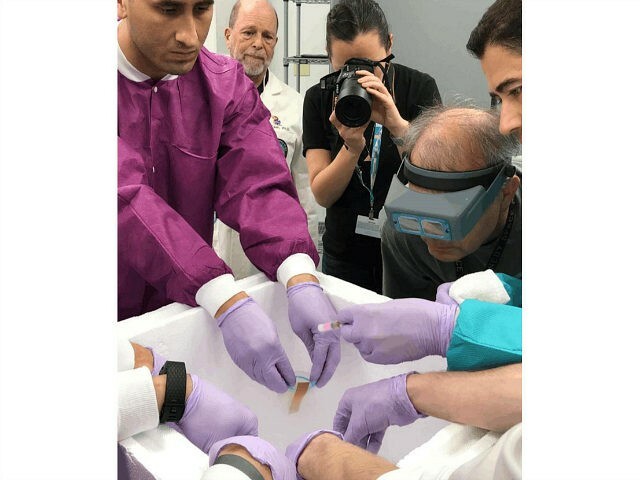 Finally, the samples will be mixed with preservatives and returned to Earth, where they’ll be analyzed to see whether the steps necessary for fusion occurred and whether the samples from space differ from sperm samples activated on the ground. Afterward, the spermatozoa will be returned to the University of Kansas to see whether time in space altered their behavior. As humanity inches closer to the frontier of space colonization, these results are more than just relevant — they may very well have a drastic effect on the propagation of the human race.